As roulette became more popular in many casinos, people saw the need to plan betting strategies. This methodwould be helpful mainly if you want to beat the house edge. Many strategies suggestdiverse tactics created to increase roulette win probability. 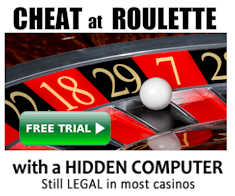 Almost every casino offers this game as there are a lot of people who prefer to play roulette. One reason is that learning how to play this game is very easy. At the same time, players love this game as there are many schemes that they can try. It would be more useful to players if the chosen tactics truly work. To people who are into gambling, it is crucial to form tactics that will make their gameplay more profitable. A betting system has been devised by many players so that they will have better odds at roulette. The betting strategy is deemed as a structured gambling approach in order to profit from the game. The success rate of the betting system devised by the player is highly reliant on its ability to produce higher odds of winning compared to the house edge. The betting system is often hooked on statistical analysis. It would be based on the probability of diverse results that could make the player win. Betting on even money happens to be a very famous strategy for many players. Most of these strategies base the tactics on the popular Martingale Strategy. With these strategies, the roulette win probability tends to increase. Based on this strategy, the amount of the betting amount should be doubled every time the player loses a bet. With this strategy, the player is likely to recover all losses by just winning in one round. Another strategy which attracts a lot of people is the Fibonacci strategy. Butthese tactics are not ideal as far as statistics is concerned. It is also good to note that the result of each spin happens to be independent from each other. Hence, winning in one spin will not affect the result of the next spin. Yet, with these progressions, people assume that the result of the spins somehow affect each other. But based on statistics, the Martingale and the Fibonacci strategies have an expected probability that has a negative value. 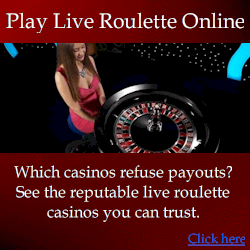 Based on a statistical analysis, this probability is not good enough to win in roulette. So, even if there are people who use this method to make money, it is not fullproof and effective.In case ofrepeated losses, a player would lose so much money in one go. In the instance that a pattern is followed to tell what the result of the spin will be result to a loss. Roulette win probability would be highly dependent on the tactic used by the player to have a house advantage. Although there are many patterns that are gaining much regard in many casinos, it is vital to note that not all methods work. A gameplay which merely relies on a pattern will not be able to increase the player’s probability of winning the game. This is due to the fact that the house advantage does not change in any way. For now, the best choice for players who are aiming to increase their odds of winning in roulette is to rely on physics. The theories linked to using physics suggest that the only way to increase roulette win probability is to consider all of the forces in action. In this case, the movement of the wheel and its speed would be needed to predict where the ball will land. The movement and speed of the ball is also important to know where the ball will come to a stop. Even if the dealer is a very good one, the physics principles behind this will remain the same.This would, in turn, result to getting high chances of making the right bets. Using statistics, it would be hard to compute how precise your bets are. Needless to say, the player can decrease the house edge.This would make the odds favourable for a player. What is great about using physics to win in roulette is that it is backed by math. So, you have a way to compute how likely it is for certain numbers in roulette could come out. With this, you will not be choosing numbers in random.Then, you can rest assured that you will not be making blind bets. Practice makes perfect in this case though.You will need to realize that the entire process would require hard work. Plus, you need constant practice before you can really get the hang of it. But, once you have all things set, choosing the winning numbers are easier.And, you are on your way to being a professional roulette player.